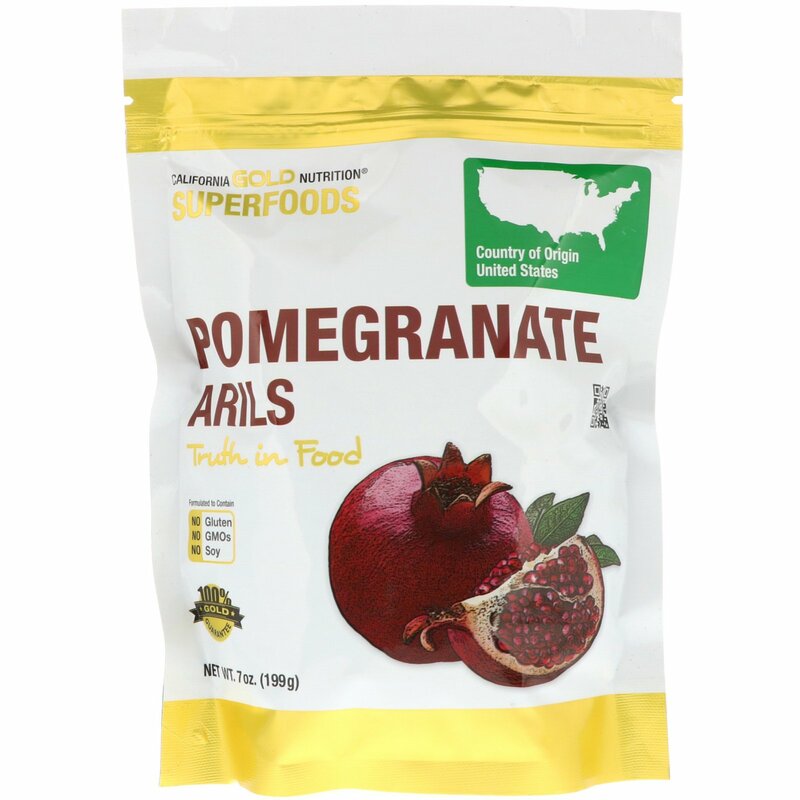 California Gold Nutrition® Superfoods Pomegranate Arils are 100% pure, whole arils exclusively sourced from California, USA and are freeze-dried to ensure that aroma, color, taste and naturally occurring nutrients are optimally preserved. Rich in flavor and naturally occurring polyphenols, the sweet, tarty taste and beautiful color blends well with sweet and savory flavors. *The % Daily Value (DV) tells you how much a nutrient in a serving of food contributes to a daily diet. 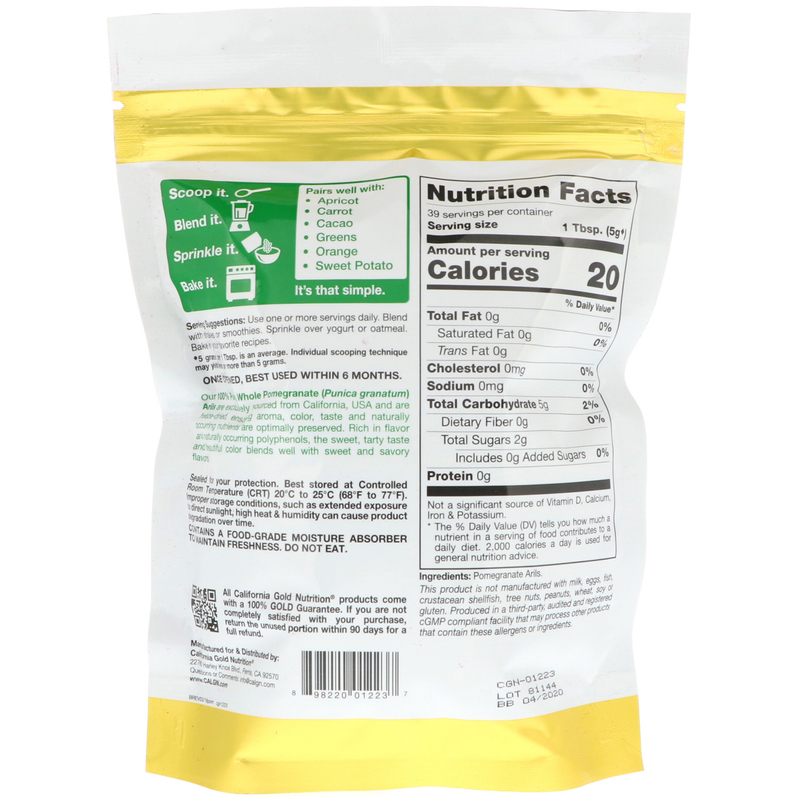 2,000 calories a day is sued for general nutrition advice. ♦5 grams per 1 Tbsp. is an average. Individual scooping technique may yield less or more than 5 grams.